When Killer Instinct was announced, I don't think I had heard the silencing of so many screams since the destruction of Alderaan. While many gamers quickly jumped for joy at the mere mention of this resurrection, said joy was completely obliterated when Microsoft said these two fateful words -- "Double Helix." The Rare of old is dead and buried, and handing off such a storied franchise to a developer who generally handled licensed games was...interesting, to say the least. But here we are months later, and you know what? It kind of worked out. 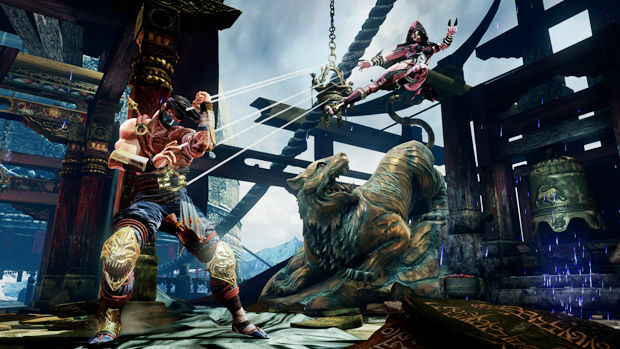 Killer Instinct 2013 is a "2.5D" fighting game that operates similarly to Street Fighter IV. But as a stark contrast to some other fighters, the crux of the game is based on the intricate combo system -- which lets you to "link" certain moves together (regulars and specials) to form long chains of attacks. To start off this process you'll throw up an "opener," which will allow you to begin a combo, then you can throw in a few regulars, with a small window to enact another link move, and so on. The regular hit-confirm game is more present than ever, as you attempt to link everything you can into an opener to start a combo. To prevent you from doing this indefinitely, there's a "combo limit" meter near your hit count that shows you when you'll have to stop -- at that point, you'll pop an "ender" to inflict as much damage as you can, and your opponent will be allowed to recover, resetting the fight. The beauty of this system is that it's extremely simple to grasp at first, but it has a lot of intricacies to it. For starters, the enemy can escape any combo with a "combo breaker" move, which is used by pressing either LP+LK, MP+MK, or HP+HK. Why the disparity between light, medium, and heavy? Well, because you need to know the strength of the combo your opponent is using to break it -- if you press the wrong combination of buttons, you'll be "locked out" of a breaker for a few seconds, and you'll have to take the punishment. Add in the fact that you can use moves called "manuals" (delayed attacks that mix up the timing of combo breakers), and you have a huge, interesting meta-game involving the combo system that's very interesting to take part in. In practice, I mainly love this setup because it always keeps you on your toes. At any point anything can be punished, but instead of sitting there and waiting for it to be complete, you can just break it -- and with enough practice, you'll be able to break more and more. But combos aren't the only system present in Killer Instinct. There are shadow attacks (EX moves) that allow you to modify special moves to do more damage, open up new combos, or even go through projectiles. Killer Instinct also has its own version of Marvel vs. Capcom 3's X-Factor (used by pressing HP+HK), which allows you to regenerate a small amount of health, and gives you more hit stun capabilities. But it's more than just a buff, as it can be used to cancel a move to avoid a punish, and momentarily reset your combo limit. All of the standard fighting game tropes are also present, including cross-ups, wake up game, resets, and frame-specific moves. To finish everything off, you can use an "Ultra" combo as a fatality of sorts when your opponent has less than 15% of their health left on their last life. It's meant to be a dramatic finish, and the announcer goes absolutely nuts. You won't have too much difficulty learning these systems, as Killer Instinct's "Dojo" tutorial is one of the best in the genre, rivaled only by Skullgirls. In fact, I'd make the claim that if you finished both tutorials from start to finish, that you'd have the foundations to improve your skills in any fighting game -- they're that comprehensive, including frame data and frame specific tutorials. Jago is the new Shotokan (or, Shoto, Street Fighter's perfect learning character) of Killer Instinct, so injecting him into the demo as your first free character is genius. 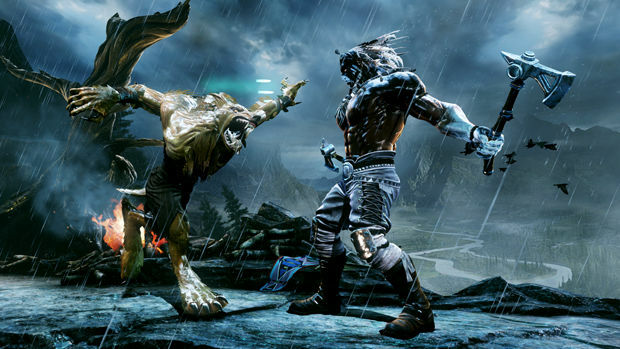 But while the systems are pretty solid, Killer Instinct is bare-bones in a lot of ways. For one, there's no campaign or any substantial amount of single-player content, really -- you're relegated to playing against the AI in single combat in the form of versus, survival, and practice. 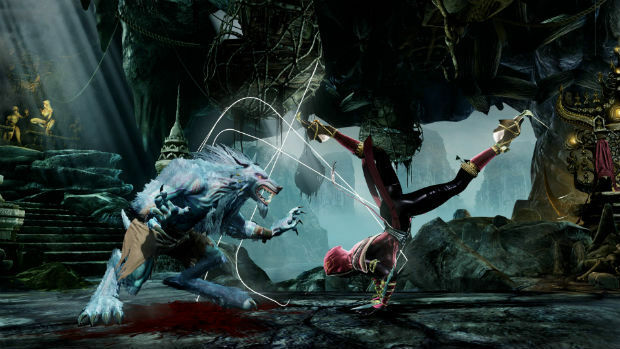 Killer Instinct does support two-player local and online play of course (which is where I spend all of my time anyway), but if you're the type of person who tends to play by themselves a lot, you might get bored rather quickly. It doesn't have a whole lot going for it in terms of the fighter count, either -- there are a mere six at launch, and the promise of two more earlier next year (with future content up in the air). 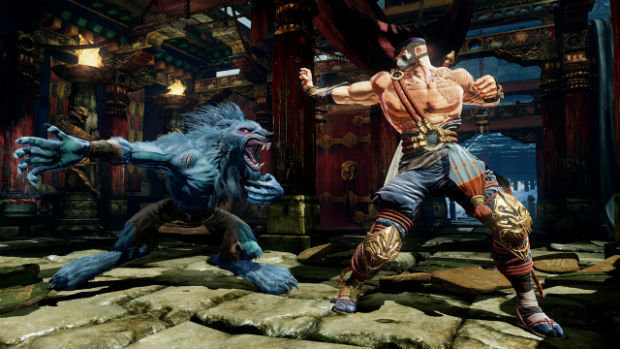 Alongside of Jago you'll get Sabrewulf, Sadira, Thunder, Orchid, and Glacius. Out of all these Sadira is the only newcomer to the fray -- so you're getting five pre-existing characters in all. Now, while the count is low for sure, I have to say the game is pretty balanced, to the point where all six are viable in their own way. I was particularly blown away by Sadira, who quickly became one of my favorites with her web-based combos and aerial antics. All of the fighters have a decent amount of flair and their own personality though, so players shouldn't have trouble gravitating towards one. Personally, my all-time favorite Fulgore isn't coming until 2014, but I'm slowly learning to master Jago and Sabrewulf until then. As an aside, the visual style may feel a bit uninspired at times, but it runs at a smooth 60 frames per second, and occasionally looks like a next-gen game -- albeit a very early one. Although I've been playing the game for quite some time, the reason the review is dropping after release is because I wanted to test the netcode, and online play in general. It's a bit of a mixed bag in the end, as most of the games I played had no slowdown, latency issues, or drops -- but there were a handful of games that had any number of those issues, to the point where I hope Double Helix fixes them sooner than later. On the bright side, you'll get a win for enemy disconnects. 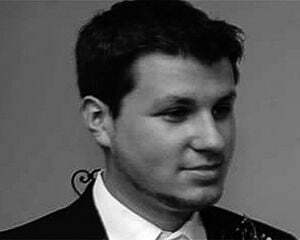 Matchmaking is simplistic (to a fault), with the ability to be put together in ranked or unranked fashion, or host private games for friends. Keep in mind that your options are extremely limited in the sense that online play has no bells and whistles attached to it, and I hope that Double Helix ends up adding far more options in the future -- including robust lobbies, a spectator mode, and tournament options. So how do you buy Killer Instinct since it's not a physical game? Well, you download the free version, and choose what to add on from there. 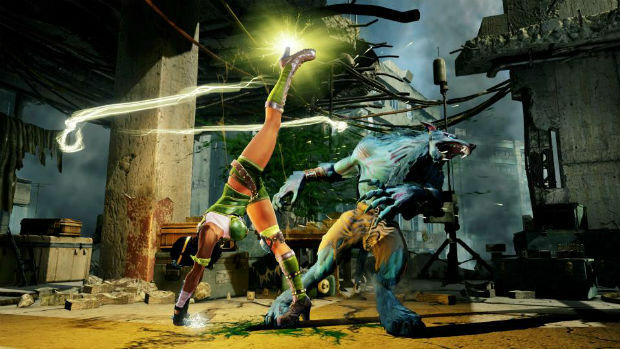 Despite the gaming community's proclamation that the sky was falling at the announcement of the game, Killer Instinct is a far cry from an abusive free-to-play scheme. It's very simple -- you download the game for free, which comes with Jago, or buy each character for $5. If you spring for a Season Pass (six characters now, with two more later) it'll run you $20, and the "Ultra Edition" nets you some extras for $40. So long as you don't mind the limited roster of six at launch, it's not a bad scheme in the slightest. Since you can still completely learn the game's systems using Jago for free and play with your friends, fighting game fans will get hours of entertainment out of the "demo" alone. I tested the bare-bones version out for myself actually, and was sufficiently entertained for quite a while before I was influenced to redeem my Ultra code. If you spring for the Ultra Edition of the game, you'll get a number of costumes, all the characters from the Season Pass, and a full Xbox Live Arcade game -- Killer Instinct Classic. This is basically its own game that's completely separate from Killer Instinct 2013, with its own achievements, save files, and extras. Point blank, if you're even a mild fan of the original it's worth buying. The Ultra version includes the original arcade game with all its "fan-favorite glitches" in tow, and a rework that smoothed them out completely -- to be clear, this is not the Super Nintendo version. Unlike the Xbox One game this one has 10 characters, all of which are fairly unique in their own way. The extras are basically a solid collection of fan service, including a sprite gallery, cutscenes, and even Easter eggs like the "Winners Don't Do Drugs" arcade messages. Killer Instinct may not be the new king of fighting games, and it feels a bit rushed in terms of content, but it is very solid and far exceeds my expectations for it. With a pricing scheme that doesn't feel exploitative and a balanced character roster, the well developed mechanics will keep you busy until the new content drops next year. It'll be interesting to see what the community at large thinks of it over time, but in my living room, it's a welcome addition to my fighting game roster.